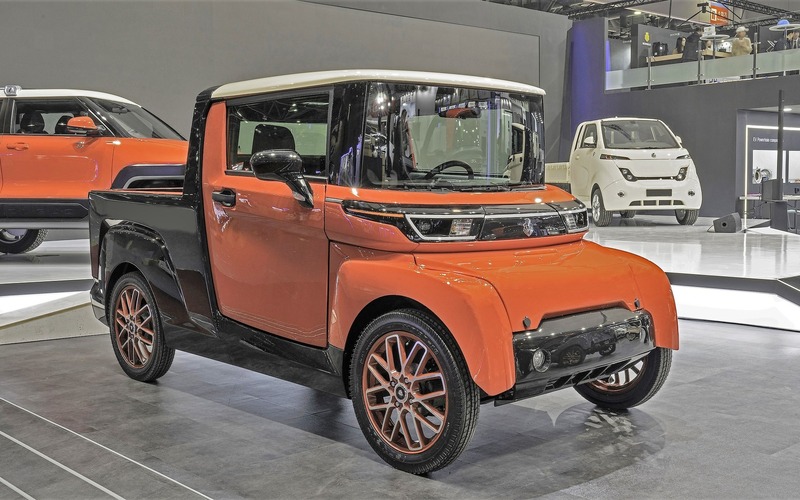 Automotive company Songuo Motors has attended the 2019 Seoul Motor Show with 12 new vehicles it will sell under the brand name “NeuWai”. The lineup included a few scooters and motorbikes, a small truck rated for a metric ton (2,200 lbs) of cargo, a module-based shuttle bus that you can reconfigure according to your current needs, as well as a compact crossover/SUV, a coupe, and a saloon/sedan. The company never went into much technical detail regarding any of its cars, but it did mention that they all took advantage of the same space-frame construction overlaid with composite body panels. Apparently, Songuo Motors wants to change the way the cars are being manufactured by producing the so-called “SKD packages”. These will be sent to car dealerships and assembled on the spot, just like construction sets. The company promises to ship its vehicles with a range of innovative, highly (up to 93%) efficient electric motors, as well as a number of traditional gasoline and propane engines compliant with the Euro 6 or at least Euro 4. The production will begin in the spring of 2020. The manufacturer says it hopes to launch production in 40 different sites throughout the world, and has already signed contracts with numerous partners from the USA, Canada, Europe, and other territories.